Has your computer or laptop been infected with malware? Here is a guide on how to detect and remove malware safely. Viruses, Spyware, Trojan Horse, Adware, worms, keyloggers, etc., are terms that you may or may not have heard before. All of these are "malware," which is short for "malicious software." Malware is a type of malicious software running or installed on your computer without your consent. As mentioned earlier, it can come in many different forms such as viruses, worms, trojan horses, adware, etc. Though all types of malware can damage your computer and slow it down, spyware is the most dangerous form of malware because it steals private information such as credit card numbers and passwords. It is advisable to remove malware quickly or block it from gaining access to your computer, as it can quickly spread and corrupt your computer and other computers in your network. If your PC seems to be infected with malware, here are some of the options available to you. If you are using Windows OS, you can manually remove malware from the control panel feature "Add or Remove Programs." However, it is not advisable to remove malware by yourself. Malware can disguise itself pretty well and can take on many different forms. Unless and until you are a computer savvy person it is nearly impossible to remove all of it. You could also accidentally delete a necessary system file which can mess your computer up even worse! You can use antimalware software like Comodo Antivirus which can detect and eliminate all forms of malware including spyware, adware, and other dangerous viruses. Let's look at how to detect and remove a malware infection in an enterprise setting. In a typical enterprise, a malware attack is not likely to go completely unnoticed. Detection of malware may come from a combination of technologies like antivirus software, or it may come from security systems. Unfortunately, detection of malware alone is not sufficient to identify and mitigate the risk posed by that malware. Often, malware detection occurs after one of the host systems got compromised. 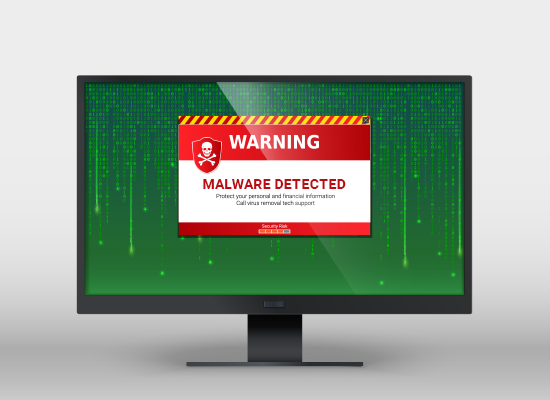 Malware can evolve and spread quickly to other endpoints; it can use self-defense mechanisms such as rootkit technologies to hide its processes from the kernel and disable the antivirus software installed in the host system. So, there is a dire need for an advanced endpoint protection solution that can detect malware even before they start to infect. Comodo Advanced Endpoint Protection is such a solution which can identify and remove even zero-hour malware. Thanks to the Default Deny Platform, Comodo Advanced Endpoint Protection (AEP) can allow all known good, and block all known bad files, automatically containing the remaining unknown. It provides all-around protection for your endpoints that no other endpoint protection solutions can match. Comodo Advanced Endpoint Protection has already stopped more than 85 million endpoints from being infected. It has contained over 32 million unknown files and detected over 3.5 million pieces of malware in those unknown files. It is the only Endpoint Protection solution that protects you against unknown files. Try Comodo Advanced Endpoint Protection today!